A year ago, during Ford Championship Weekend at Homestead-Miami Speedway, Eddie and Len Wood along with representatives of Ford Motor Company and Motorcraft/Quick Lane announced the latest chapter in the long and storied history of the Wood Brothers racing team. After spending seven years running a limited Sprint Cup schedule and regrouping the organization, the Woods and their No. 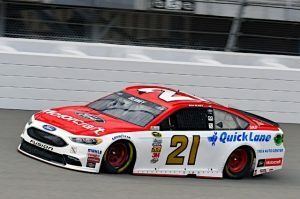 21 Motorcraft/Quick Lane Ford Fusion would return to a full-time status. The Woods also announced the continuation of a technical alliance with Team Penske and that driver Ryan Blaney and crew chief Jeremy Bullins, both still rookies at the Cup level, would return to the No. 21, where they had run a limited schedule in 2015. As Blaney and the Motorcraft/Quick Lane team return to Homestead this week, their performance on the race track has validated the decision to return to full-time status. Entering the final race of the 2016 season, Blaney has three top-five and nine top-10 finishes. He has been running at the finish of 33 of the 35 races to date and has finished on the lead lap 23 times. He’s 20th in the driver points standings, and the Woods are tied for 20th in the owner standings. 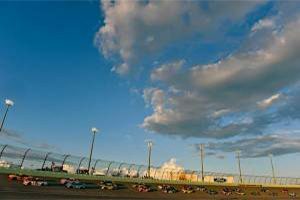 It’s the first time since 2005, when Ricky Rudd was the team’s driver, that the No. 21 Ford has scored nine top-10 finishes in a season. And it’s the best performance as far as top-fives since 1995, when Morgan Shepherd was at the wheel. The Woods, despite their return to full-time status, still must qualify for each race. Blaney and the team have had the speed needed each week. His eighth-place qualifying effort last week at Phoenix marked the 11th time this season that he qualified in the top 12. Eddie Wood said he’s proud of the way the Motorcraft/Quick Lane team has performed this year. Wood also is looking forward to returning to Homestead for the season-ending Ford EcoBoost 400. “I always look forward to the Ford Championship Weekend,” he said. “We get to spend time with our friends from Ford Motor Company and Motorcraft/Quick Lane.” This year we’re all excited to see Joey Logano and the No. 22 team over at Team Penske be a part of the championship battle. For Blaney and the Motorcraft/Quick Lane team, Ford Championship Weekend at Homestead kicks off with practice and qualifying on Friday, with the qualifying session beginning at 6:15 p.m. and the Ford EcoBoost 400 getting the green flag just after 3 p.m. on Sunday with TV coverage on NBC.